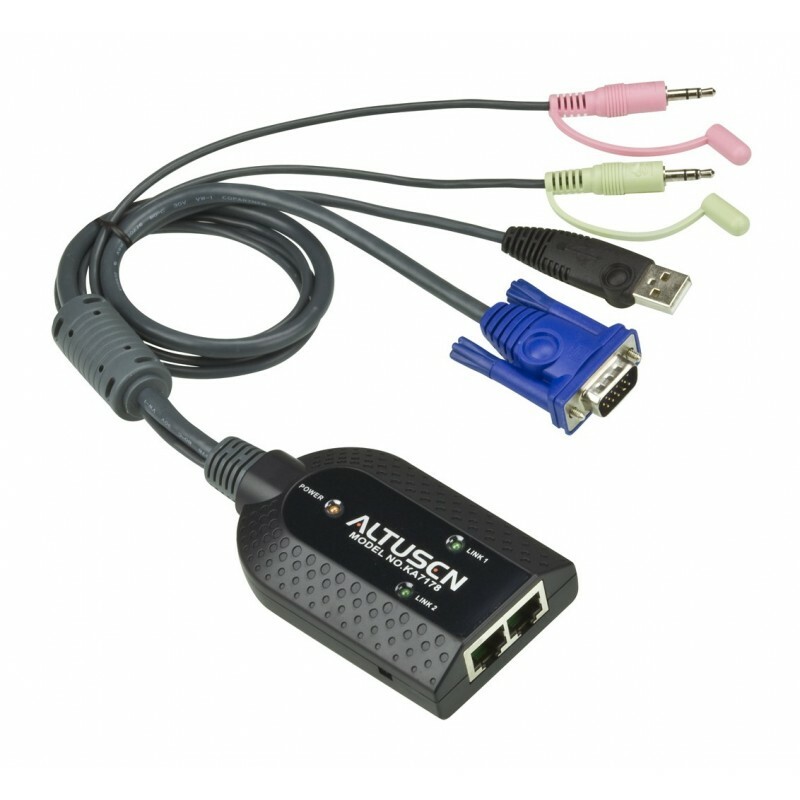 The KA7178 KVM Adapter Cable connects the KVM switch to the video, USB and audio ports of the target computer. In addition to Virtual Media support, it provides two Cat 5e/6 connectors, allowing a computer to connect to two ALTUSEN Matrix KVM switches. This allows consoles on different switches access to the same computer.